Bugis Station and City Hall Station is the focal point of the area north of Marina Bay. There are a few other stations in the area but these are the traditional old stations. 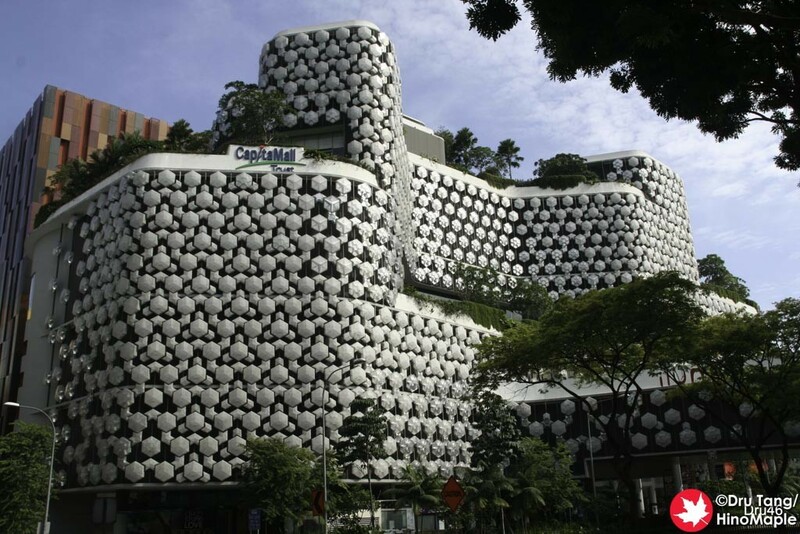 They are somewhat more historical than the other regions of Singapore with a wide range of things to see and do. This ranges from shopping to visiting religious locations to visiting tourist spots. It is a place that is full of life and a place that can give people a headache if they hate crowds. For anyone who loves the big city, this is a great place to be. Bugis Station is where I had my base when I visited Singapore. I stayed in a hotel that was between Bugis Station and Little India. Unfortunately I didn’t have the time or energy to go to Little India. The area near Bugis Station is very much a shopping destination. There are several shopping malls and lots of teens and young adults in the area. I found it to be a hard place to get around due to the sheer number of people walking around. It is very akin to visiting Shibuya or Shinjuku which made it a place that I enjoyed. The shopping malls were predominantly for younger people and the middle class. Many of them are connected to each other. The malls themselves had a mix of western and eastern shops. I noticed a lot of American and British brands, probably heavily influenced by Singapore’s past colonial days. There were also a lot of Japanese style shops, but nowhere near as many as Taipei. If you head outside of the shopping malls, you can find a few night market style streets where you can pick up all of your tacky souvenirs from Merlion key chains to postcards. You can venture a little farther and find a bunch of hawkers/food courts where you can get a lot of delicious food. I found that staying inside the shopping mall food courts to be more relaxing and much cooler as well. Hawker areas tend to be for locals whereas food courts are where tourists tend to go. If you head towards City Hall Station and Promenade Station, you will find even more shopping malls but they tend to skew more towards the higher end shoppers, but not extreme luxury. While shopping is a big thing in the area, it isn’t the only thing to do. There are many religious sights to see and visit while in the area. Heading north of Bugis Station will take you to Arab St. It is an old historical area where you can see the Middle East community. 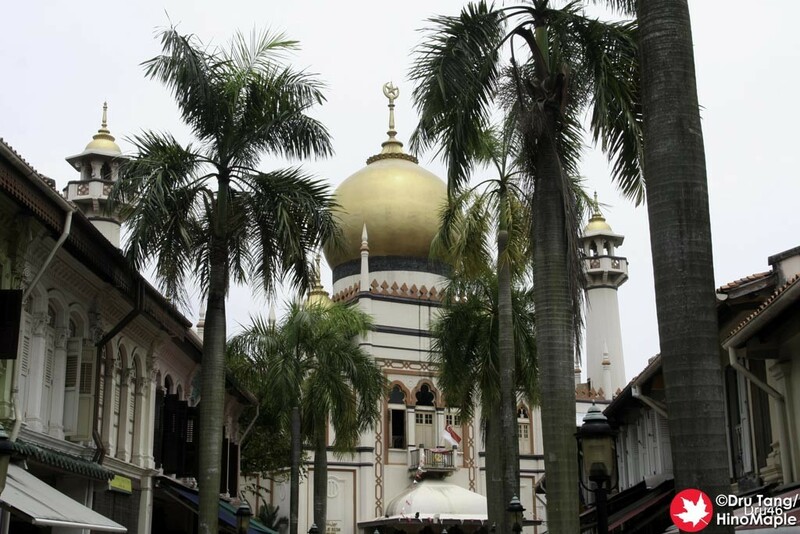 The focal point of the entire area is the Masjid Sultan Mosque. It is a grand mosque at one end of the Arab St. area. It can be difficult to see from the surrounding streets due to the tall buildings in the area but once you are on Arab St. itself it is pretty easy to find. It is a beautiful mosque with a grand golden orb on top. The streets around the mosque sell a variety of fabrics and rugs typical of a stereotypical Middle Eastern/Arabic town. There are also dozens of posh restaurants and cafes in the area selling ethnic food as well. Unfortunately I didn’t get a chance to eat in these places but they looked delicious and welcoming. Raffles Place or Raffles Hotel is one of the most historical places and biggest icons of the area. 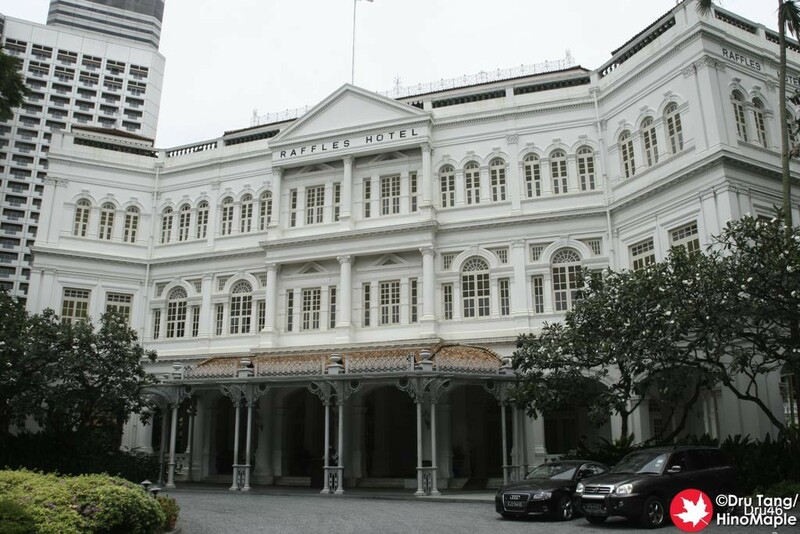 The Raffles Hotel is one of the oldest and most luxurious hotels in Singapore. It has retained its original colonial style. The walls are painted a beautiful white and the courtyards are impeccably clean. The palm trees inside the various courtyards bring the feel of a tropical paradise, without the beach. The entire hotel is magnificent but unfortunately I will probably never have enough money to spend even one night there. Next to the hotel is the parliament building. It is an old historical building as well but as far as I could tell, off limits to tourists. It is an official building that is very picturesque. While the area around City Hall Station is more historical with the Raffles Hotel; Promenade and Esplanade Stations show the modern side of the area. 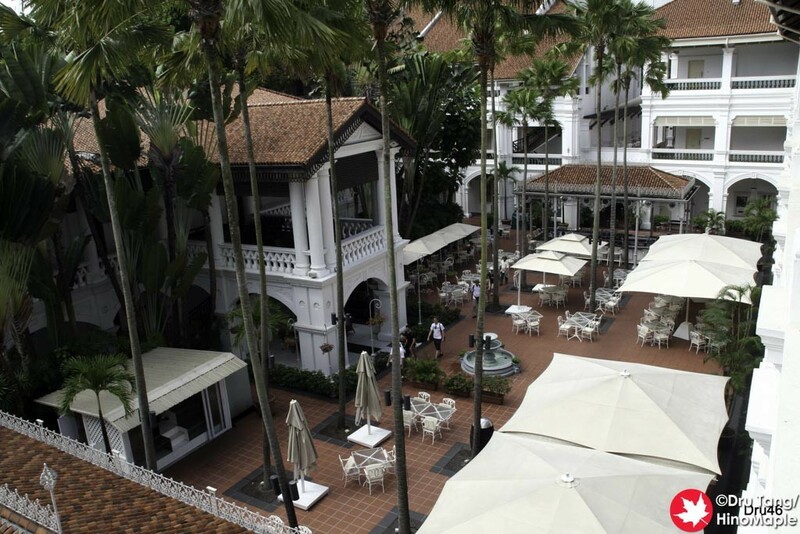 Just a short walk from the Raffles Hotel, there are new modern hotels as well as the Esplanade Theatres. The Esplanade Theatres are two buildings that are part of one theatre complex. They are iconic and shown in most, if not all travel brochures on Singapore. 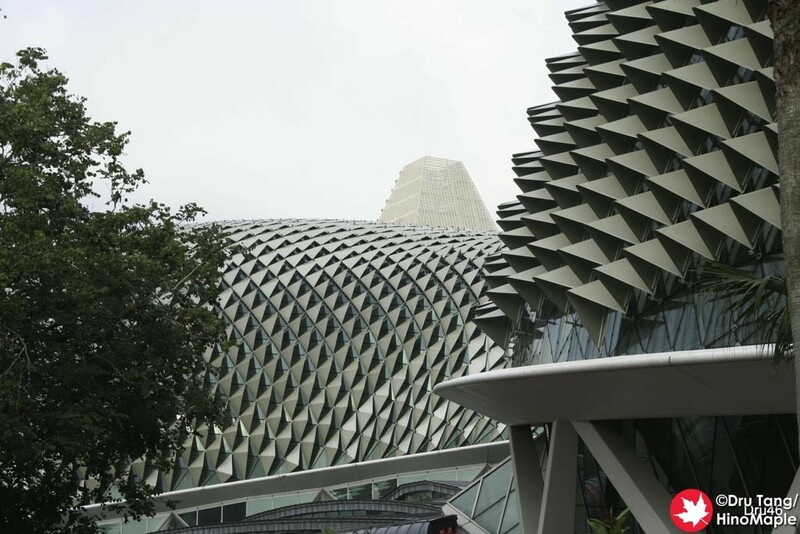 They are two dome-like structures that look like a pair of durian or a pair of dragonfly eyes. From afar, it is a very interesting structure, but up close it loses its flare. If you have the energy, you can also head out to the Singapore Flyer. It is a large Ferris wheel that takes roughly 30 minutes to make one trip. It was designed by a Japanese architect and designed to be a labyrinth. It is designed to bring you in and keep you in. It is a typical tourist trap. Thankfully the Flyer itself has great views of the surrounding area. Overall, you can spend several days just exploring every street in and around this area. It is nice to be in the area and there are many hotels making it a very convenient place to be. You can do pretty much everything on foot provided you can survive the heat. After living in Tokyo for 6 years now, I find the heat to be bearable. It isn’t comfortable and you have to seek air conditioning after an hour or so, but it is manageable. This entry was posted in East Asia and tagged Arab St., Arab Street, Bugis, Bugis Station, City Hall Station, Esplanade, Esplanade Station, Esplanade Theatre, ferris wheel, food court, hawker, Little India, Marina Bay, Masjid Mosque, Masjid Sultan Mosque, Merlion, mosque, Promenade Station, Raffles, Raffles Hotel, Raffles Place, Singapore, Singapore Flyer, Sultan Mosque by Dru. Bookmark the permalink.